In the reigning electronic music era, the term “DJ” has become extraordinarily convoluted. Many electronic artists are judged and ranked as DJs based on their production prowess, rather than their skills behind the decks. Furthermore, as music technologies continue to develop, the lines between the actual tools which electronic artists use onstage have become increasingly blurred. Many of dance music’s most important figures don’t use anything resembling turntables or CDJs during their shows. This list celebrates the ten electronic artists that we believe provided the most evocative performances in 2016. While many of the names below have released spectacular music within the past year, the artists’ production skills were not used as criteria while compiling these rankings. Rather, the aim of this list is to highlight the acts who most formidably astounded their audiences in their concerts; the artists whose tour announcements sent a hush throughout the electronic music realm; the musicians who put on shows so spectacular that the moments they cultivated have achieved legendary status in the year’s canon. 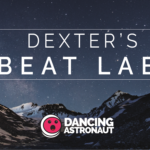 These are Dancing Astronaut’s Top 10 Performers of 2016. Year after year, Sonny Moore remains one of dance music’s preeminent influencers, and to his credit, one of its most energetic performers. In addition to heading up his OWSLA imprint and continually providing a platform for new talents, Skrillex held down a breakneck performance calendar in 2016. Among Skrillex’s international touring itinerary this year were noteworthy performances at ComplexCon, Chance The Rapper’s debut Magnificent Coloring Day Festival, and his Boiler Room debut in Shanghai. Moore also returned to Burning Man and Coachella, to accompany Snails. What long-time fans may consider treasonous is actually the key ingredient to Skrillex’s ubiquity — nothing is too dissimilar from his current work to touch. He brings the same earnest and genuine energy to his performances. Dubstep fan or not, its one of the most inclusive environments in the mainstream scene. Bob Moses hit the nail on the head with their 2015 debut album, Days Gone By, entering the dance music realm at the exact right time for the industry to welcome them with open arms. With the rise in popularity of indie-electronica crossover acts over the last few years, listeners were ready for something different, and the Canadian partnership of Tom Howie and Jimmy Vallance proved perfect to provide that difference. The duo’s multifaceted style yields a stellar live show, but impressively isn’t compromised by their DJ performances. Rather, the two divergent live formats allow Howie and Vallance to explore different facets of their tastes and talents. 2016 has seen Bob Moses play sets at some of the biggest festivals in the world, including Lollapalooza, Coachella, Bonnaroo. Howie and Vallance have also garnered mainstream attention, receiving a great wealth of airtime on BBC Radio 1 and earning the chance to perform on The Ellen Show. Conversely, the duo fit right in with house and techno legend Lee Burridge on his “All Day I Dream” tour, easily catering to the more underground side of the spectrum. With their enthralling live performance, unique combination of influences, and ubiquitous appeal, it’s glaringly apparent that Bob Moses have established a firm, yet still blossoming legacy. Amid the rigorous clamor that defines much of the dance music scene, there is the beautiful sound of Tycho, which continuously reaffirms the notion that there is much more to composing music than simply putting sounds together. A true artist in every aspect, Scott Hansen, the leading force behind the project, creates breathtaking, organic soundscapes wherever he goes. Whether performing at the Dusty Rhino art car for his Burning Man sunrise set, or headlining Red Rocks, Hansen’s performances are always inventive and tranquil. Tycho’s music breathes with life, brimming with meaningful depth in both its composition and its performance. Artists with such capabilities have become increasingly rare, as technological advances make production — and performance — more accessible, but arguably less personal. Dirtybird label boss Claude VonStroke has been transitioning from an underground hero to a household name over the last decade. In 2016, a number of mainstream accolades began rolling in for the DJ as well. In September, Claude was named America’s Best DJ (via fan votes in Pioneer DJ and DJ Times’ annual poll), and his uniquely nostalgic festival, Dirtybird Campout, drew an enthusiastic international crowd for its second iteration. At Campout, the DJ performed both as himself and under his real name as his hip hop alter-ego, Barclay Crenshaw, demonstrating that his breadth as a performer is continually expanding, even at this stage in his career. The house and techno scene is alive and well in the United States, but VonStroke possesses a unique quality among his cohorts — a sense of humor about his craft. In 2016, VonStroke stepped his game up by incorporating elements from his side projects, Get Real and Barclay Crenshaw, without losing the heart of his performance: the tangible irreverence of a Claude VonStroke set. Ambitious producer, live musician, and All Good Records owner, Grant Kwiecinski, better known as GRiZ, had yet another year of exponential growth in 2016 — and for good reason. GRiZ is an innovator, and it’s easy to see that he enjoys setting the bar ever higher as he builds his style of futuristic funk into something of a movement. Kwiecinski’s world-class musicianship shines brightly at each and every show he plays, big or small. The energy at a GRiZ show is a spectacle to behold, due to his formidable skills as a saxophonist and Ableton live controller. From his groundbreaking sold-out Red Rocks show to playing sets all over the Playa at Burning Man, GRiZ can, and will, do it all. The dedicated performer appears at practically every major festival amidst his rigorous touring schedule. Furthermore, the multi-instrumental talent never shies away from a unique collaboration, which perhaps manifested most notably this year during his Big Grizmatik set at Summer Camp, where Kwiecinski partnered with like-minded influencers Big Gigantic and Gramatik to purvey a legendary performance. GRiZ’s most astounding trait, however, is his unbreakable authenticity — both as a musician and a person — which has fostered a devoted cult following (known as “The Liberators”) that few artists can achieve. As a performer, Pretty Lights has constantly evolved. Following a musical reawakening in late February, Derek Vincent Smith premiered his Episodic Festival tour. In their new live performance, Smith and his band have finally achieved the perfect balance between their electronic and instrumental components. Pretty Lights has always been revered for his live edits during shows, but in 2016, he inverted his performative process entirely. In the new era of Pretty Lights, Smith implements his improvisations within Ableton impeccably with those of his bandmates. Overall, the well-tuned musical experience provided during the Episodic Festival is the ideal marriage of Pretty Lights’ contrasting elements; the yin and yang innovate, rather than collide. Greg Ellis’ subtler lighting choices melded masterfully with Pretty Lights’ new performance. In the accompanying visual production, Ellis favored psychedelic laser displays over frenetic rave patterns and reintroduced the sepia-toned cityscapes which were definitive of Smith’s earlier tours. To create an inimitable live experience that combines free form jam band music, calculated electronic music, and hip hop is an ambitious feat. Setting this divergent combination to an ever-changing, astounding, and harmonious visual spectacle adds a further layer of difficulty. In 2016, Pretty Lights achieved this feat with resounding success. Fans were unsure of what to expect when Boys Noize premiered his Mayday performance at Barcelona’s Sónar festival in June. Alex Ridha hadn’t crafted a new live experience since the haunting skull booth which accompanied his electro-heavy Out of the Black tour following his 2012 album of the same name. In 2016, Boys Noize’s live show manifested the essence and theme of his Mayday album impeccably. Rather than revisit the sinister occultism which pervaded his Out of the Black tour, Ridha masterfully recreated the apocalyptic pandemonium which defined his fourth album. Standing behind an elaborate industrial rig, designed with towering iron bars and glaring alarm lights, Ridha wove his dystopian scores through an array of equipment complex enough to make deadmau5 uneasy. In order to ensure that the Orwellian sensibilities of his Mayday show were properly executed, Boys Noize took a step that very few performers possess the dedication to take. While seamlessly integrating live edits into his performance, Ridha additionally controlled a significant portion of his own visual production. As the German visionary crafted an apocalyptic masterpiece from behind his industrial imprisonment, chaotic visuals designed by Sus Boy and LIL INTERNET completed the experience, culminating in a showcase which simultaneously evoked visceral energy and airs of totalitarian oppression. Independently, Boys Noize’s live shows of the past year were a staggering artistic feat. Given the pre-apocalyptic despair that many people are feeling as 2016 draws to a close, one might say that Alex Ridha’s most recent tour was a conceptual embodiment of the year itself. Eric Prydz is a veritable juggernaut of a performer. The multi-talented, multi-monikered DJ excels onstage regardless of which identity he chooses to don for any given show. As Cirez D, he purveys a selection of techno which is harrowing and recondite, yet also energizing — often playing warehouse sets for hours on end. However, Prydz’s shows under his given name are his crowning achievement as a performer. The veteran DJ’s live shows have become so legendary that they have spurred a revered series of their own: Eric Prydz in Concert – appropriately abbreviated as EPIC. Its 2016 edition, EPIC 4.0, is the zenith of a DJ career which spans more than a decade. Eric Prydz in concert is, funnily enough, less of a concert and more of an audio/visual journey. The technical prowess of Eric Prydz’s EPIC stage production is unparalleled. Prydz shrouds himself within a colossal LED encasement, upon which a vibrant, ever-shifting phantasmagoria enthralls his audience. As thousands of lasers project from his inventively lit fortress, Prydz carefully selects music from his extensive oeuvre to score his inimitable sensory experience, taking spectators on a journey with his uniquely immersive visual platform.The energy of the experience undulates as the multifaceted musician shifts between segments highlighting his various alter-egos. Each year of Eric Prydz’s storied career has been momentous, but in 2016, Prydz raised his own bar substantially as a performer and producer. Given the artist’s innovative leaps in the past year, the degree to which he’ll shake the dance music world when he premieres EPIC 5.0 in May 2017 is unfathomable. Carl Cox needs no introduction — the legendary artist’s residency at Space Ibiza concluded its 15 year-run in September with an epic ten-hour, all-vinyl set. While a packed room ushered in the closing of Space, millions of viewers tuned in online to watch Cox’s dazzling final performance. The set further marked the end of a 27-year era, as Ushuaïa will take control of the site next Ibiza season, but the king of dance music isn’t hanging up his crown just yet. Infectious energy and an ear-to-ear grin are only some of the trademark elements of a Carl Cox DJ set. Over the course of his career which spans more than three decades, Cox has become a master curator with an inexhaustible archive, and a masterful technician to boot. Simply put, there is no superior DJ anywhere, and Cox proved in 2016 that he’s not going anywhere anytime soon. There’s a bittersweet beauty in the nature of transience. Diamonds are coveted for their rarity. Gesaffelstein’s announcement that his Coachella performance would be his “last live show” made its experience that more exciting. The same principle applies to the “Shelter” phenomenon. In 2016, no other artists managed to engender widespread fervor for their live shows to the degree which Porter Robinson and Madeon did with Shelter. When Porter Robinson and Madeon abruptly partnered in the studio and onstage, both artists’ respective fan bases were ecstatic. Based upon their sudden ubiquity and undeniable compatibility, many hopefully assumed that the pair of prodigies would continue to work together extensively for years to come. When Robinson and Madeon announced that their dual tour would mark the end of their partnership, a sizable faction of their followers were devastated — and understandably so. However, while the retirement of their partnership is a disappointing loss, it’s important to note that its impact is inextricable from its ephemerality. Live edits from the show, such as Madeon’s revision of Robinson’s “Flicker,” are evocative not only because of their intrinsic qualities, but because they only exist within the context of the Shelter performance. Robinson and Madeon’s tour is formidable largely because it is fleeting. The Shelter tour was simultaneously a perfect reflection of both artists’ unique live aesthetics and an expert fusion of their compositional styles. Bookended with renditions of their sole collaboration, Porter Robinson and Madeon transformed each other’s original works throughout their joint performance, both individually and in conjunction. As the pair alternated vocal and instrumental duties behind separate altars, the accompanying visual production was a dazzling combination of both artists’ signature live spectacles. We were astounded by Porter Robinson and Madeon’s collaborative live endeavors in 2016, and we are excited to see what both artists individually have in store for 2017. Photos by Rukes, Molly Gale, AJRPhotography, and courtesy of artists.